Breakout board for the microSD socket that is not much bigger than your fingernail. 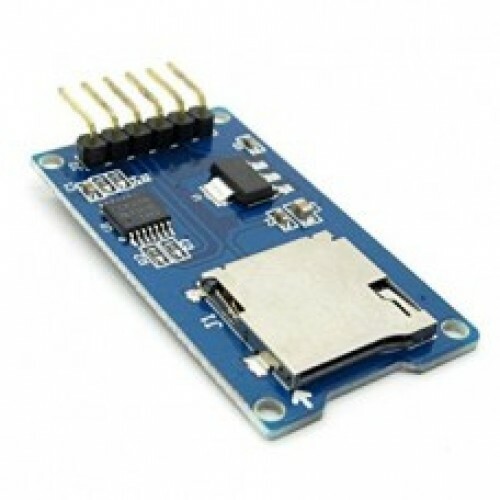 Compatible with the SPI interface found on any SD card, this tiny form factor was created for cell phone storage and is perfect for your next automatic MP3 play, sensor datalogging embedded project! Board comes fully assembled and tested.